When you first hire a skip from us, it’s important to know roughly what size of bin you may need. 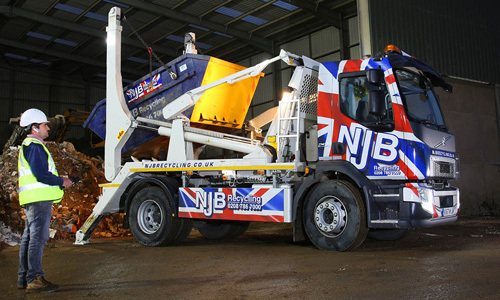 We generally recommend mini skips and small skips for household or domestic waste and rubbish clearances, while we reserve the hire of midi and large skip hire for commercial and construction clients – though, in our experience as leading specialists in skip rental and rubbish clearance, we know only too well that every need is going to be slightly different! Therefore, we will always consult with you ahead of time to help you find the perfect deal – the best size of skip and an affordable rubbish collection plan to fit within your household budget and any timescales and other expectations. Household skip hire and low cost rubbish removal Raynes Park and beyond – it’s all ready to go and waiting for you. One call to Raynes Park Skip Hire is all you need to get our wheels moving in the right direction towards you. Take a look at our range of skips specially reserved for household clearances and collections – pick from sizes as small as 2 yards leading all the way up to 3 yard skip hire, 4 yard skip hire and 6 yard skip hire. As mentioned – if it is considered affordable for you within your skip hire budget, we will be more than happy to recommend larger models to you if need be – but we never think you should be paying for skip space you may not necessarily need! Garden waste clearance is perfectly suited to skips of these sizes, too. Whether you’re removing rubbish from your garden or need to recycle natural waste at short notice, let us supply you with a small to medium skip that will be delivered and collected whenever you need it – we even offer same day skip hire, too! We’re able to support greater needs for skip hire in Raynes Park with larger skips, too. 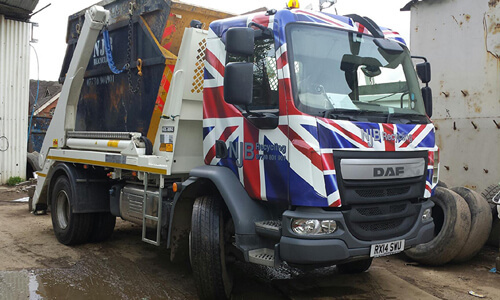 From midi skip hire to large skip hire available for commercial and construction site needs, let us support you with a sizable receptacle which will ensure that everything is collected in a big enough bin and in plenty of time. We even offer cheap RoRo skips, too – these Roll On Roll Off models can be tipped and rolled to allow for easier access in removing and recycling heavy duty waste and bulk refuse. Commercial 8 yard skip hire, 10 cubic yard skip hire, 12 yard skip hire and 14 yard skip hire are usually recommended for larger jobs, though we are able to support greater needs with 20 yard skip hire and 40 yard skip hire wherever necessary. We’ll be up front with you on costs and prices – allowing you access to an affordable and reliable quote before we get started. Our top team are the best at what they do throughout Raynes Park and beyond – if you need skip sizes towards the smaller end of the scale or in larger sizes, we’re only too happy to oblige. Our comprehensive skip hire catalogue is cheap and flexible for a wide range of budgets, and what’s more, you simply let us know your needs and we will find the best fit for you. Never let your rubbish pile up when our team of professional experts can clear it up and get it away for you for less than you’d expect to pay elsewhere – for your own unique and reliable quote, call us today on 02087867000 and let us know your needs so that we can supply you with rubbish and waste clearance – and collection – as soon as you need it.